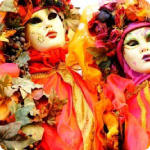 There are held many festivals, happenings, shows, flee markets, folklore celebrations, wine harvestings and other events in Prague. We try to introduce all interesting events that annually repeat, so you can plan your Prague itinerary ahead. Just find the month of your Prague visit and click "more info". You can check the direct websites of each event and get the dates, venues, detailed program for the current year. You can visit the cultural events on your own, or with one of our proffesional guides. 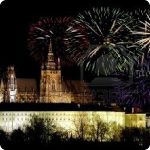 Most Czech towns put on a great show on New Year’s Eve, and this is especially true in Prague. On the Old Town Square the New Year’s Eve show will start in the afternoon and reach a climax with a huge firework display to welcome in 2007. Fireworks are shot from Letna hill above the River Vlatava. Cruise into 2007! Celebrating on the boat - you can get the best views and unusual atmosphere. The boat will cruise Prague and you can sit in the heated boat-restaurant and admire the changing views and midnight fireworks or take the romantic pictures from the top deck. Tipical Czech New Year’s Eve dishes - "Chlebíčky" - richly topped open faced sandwiches. 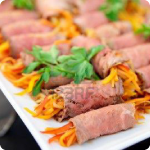 Various salads, cold fish, coldcuts, cheeses, deviled eggs, roast chicken, Czech gulash, hot fish dishes, sausages, vegetables, potatoes, dumplings, rice, breads, desserts, fruit and more. Toast the New Year with a glass of champagne. After midnight, the traditional Czech specialty is served: "Smoked meat with lentils"
Let us know in time, if we should book this event for you. Restaurant Hergetova Cihelna - Lively and stylish riverside dining with stunning view of Charles Bridge. Cihelna 2b, Praha 1 – Malá Strana. Masopust is the traditional Czech Shrovetide or Carnival celebration, and a Masopust festivals take place in Prague, Cesky Krumlov, and elsewhere in the Czech Republic during this pre-Lenten period. Masopust is Czech for “meat fast” or “farewell to meat.” It is a time for feasting and revelry– Prague's Bohemian Carnevale coincides with Masopust. Masopust is a time for dressing up in costume and wearing masks. Masked character processions may go from house to house. Dance and song, feasting and drinking. The Czechs and Moravians enjoy using a variety of noisemakers on this holiday, and a favorite one is a wooden ratchet (řechtačka). Staroměstský jarmark - Old Town fair: Folk celebrations in the city center with an accompanying program in the afternoon, from Monday to Friday. Music and Old Pargue songs and cymbal will sound all days. For visitors, these markets means a precursor to Easter, as it appears on newsstands Easter assortment. Easter Fair in the historic center of Prague is usually be held on first weekends of April. After a long winter to bring color and charm of the city's largest Christian festivals in a year. Easter lovers can enjoy the traditional approach to these celebrations and the interesting news. 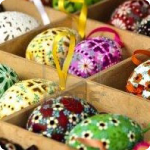 The most common sight is brightly coloured, hand-painted Easter eggs, which Czech ladies dressed in traditional costume may even personalise for you, by painting on a name or special message. The Prague Easter markets are not just about shopping though. The tastes and smells are equally enticing, with terribly unhealthy, but wonderfully tasty barbecued sausages and ice-cold Pilsner beer on sale. Several stalls also have large hams roasting on spits. Plus there is a variety of traditional Czech sweets to try, like 'Trdelnik', a hot sugary coated pastry. ... One of the wooden cabins at the Old Town Square runs workshops for children. Easter beating od women!? Easter Monday, the first Monday after the first full moon in April, is a holiday of joy and rejuvenation. Traditionally Czech boys and men braid willow branches (pomlázky) and adorn them with colorful ribbons. They then go caroling and visiting female friends whom they gently switch with their pomlázky. In return their female friends present them with colored eggs, chocolate, and other treats. The act of switching carries the symbolism of renewal and, in the past, the head of the household switched everyone, including livestock, for good luck. PRAGUE FOOD FESTIVAL is a three-day celebration of food, which is in the Czech Republic has a long tradition. 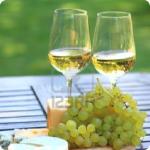 Under the open sky will concentrate the best chefs and beverage producers in that country. Visitors can taste local and exotic delicacies from the most interesting restaurants in Maurer GRAND RESTAURANT. A rich accompanying program and a lot of news. THE CELEBRATION OF PRAGUE - this festival is showing the beauty of Prague and skills of the local people. It includes these topics: Music, art, design, architecture, history, science, for children. PRAGUE PROMS The Prague Proms annual music festival is a series of classical concerts organised by the Czech National Symphony Orchestra at their Prague home, the Municipal House. Concerts take place in the stunning Smetana Hall, the largest auditorium within Municipal House and introduce domestic and foreign guest artists, soloists, conductors and ensembles. CYRIL AND METODIUS DAY - 5.7. is public holiday in memory of the Slavic Christianity Prophets - Cyril and Metodius. Prague sightseeing & entertainment operate as normal. Shops have limited opening times. 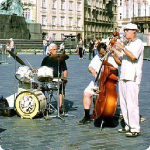 PRAGUE FOLKLORE DAYS - The 5th International Meeting of Folklore Ensembles takes place over several days on an outdoor stage at the Old Town Square. Amateur folklore ensembles from many countries come to present the folklore of their own regions and countries. On the Saturday afternoon there is also a parade through the Old Town. 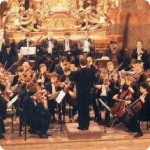 Lávka River Stage festival, Prague Horn, Young Prague - International music festival, International String Quartets Festival - festival in honour of Antonín Dvorák, International Organ Festival, Festival of Italian operas, Aniversary of the Soviet Invasion after the Prague Spring 21.8. LÁVKA RIVER STAGE - opera, ballet, theatre in the lagoon under The Charles Bridge.The aim of the festival is to bring classical ballet, modern theatre and operatic singing nearer to the people. 21.8. ANIVERSARY OF THE SOVIET INVASION AFTER THE PRAGUE SPRING - The Prague Spring was a period of political liberalization in Czechoslovakia during the communist era. The Soviets decided to stop the changes. 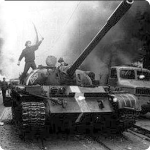 On the night of 20–21 August 1968 Warsaw Pact troops and tanks entered the country. Local popular opposition was expressed in numerous spontaneous acts of nonviolent resistance. On 19 January 1969, student Jan Palach set himself on fire in Prague's Wenceslas Square. 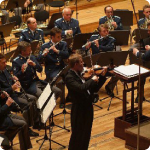 International Festival of Advent and Christmas Music, Bohuslav Martinu Festival, Prague Christmas - festival of Christmas carols, Christmas DAY 24.12. While reading this, you can listen to the Czech christmas songs. Especially famous are: Nesem vám noviny, Tichá noc, My tři králové. in the Old Town Square and Wenceslas Square are usually held from 2nd December to 1st January. The largest Christmas trees in the country is the Old Town Square and at the Prague Castle, where Christmas carols and songs are sung. Boxes for charity purposes are usually placed under these trees. 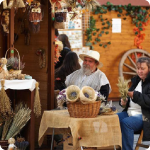 Exhibition in the Old Town presents folk Christmas, customs, nativity scenes from various materials, Christmas ornaments and trees. Exhibition in the Prague Castle shows historical nativity scenes. On display: about 30 nativity scenes, the works of Czech woodcarvers including unique items (church baroque nativity scene, etc.). The evening before St. Nicholas Day, December 5, St. Nicholas strolls around the city, accompanied by an Angel and a Devil, visiting children and handing out presents. First, he asks the children whether they have been good and if not, they must promise they will be better next year. The good children get some chocolates, but the ones get only a coal! :-) This tradition became very popular and the character of St. Nicholas, dressed in a long coat with a crosier in his hand, is now always accompanied by a devil and an angel, representing the antimony of good and evil. The St. Nicholas tradition is based on the legend of St. Nicholas, a bishop who lived in the 4th century in Asia Minor and was renowned for his religious life and charity. His name was brought to New Amsterodam (New York) and changed into the Santa Claus. In Central Europe, there is no association of this St. Nicholas with the Western character of Santa Claus (like in England, USA, Sweden or elsewhere). In Czech brings presents at Christmas the baby Jesus - "Jezisek". Christmas trees are usually decorated on Christmas Eve, December 24, or earlier in some families. Nativity scenes are arranged, Christmas presents are wrapped and preparations for Christmas dinner are made. The Czech traditional Christmas dinner consists of fish soup, breaded fried carp fillets and potato salad. The trees are taken down on the day of the Magi or the following Sunday. Christmas is a family holiday where no one should stay home alone. That’s why the entire family usually meets at the Christmas dinner table and if someone lives alone, they are invited over by friends or neighbors. The festive dinner (Dec 24th) is followed by the special moment which children look forward to all year long - unwrapping the presents from under the tree that were left by baby Jesus. To get the presents they wished for, many children write letters to baby Jesus before Christmas. On Christmas Eve, baby Jesus enters each home (thought the opened window - not a chimney!) and leaves presents under the tree. He lights the candles and lights on it and then disappears without being seen just before the Christmas bell rings. Christmas carols are usually sung under the lit Christmas tree. At midnight, people usually go to church for J. J. Ryba’s Czech Christmas Mass. You can find the new year information under the January info article (up in thisweb page). Copyright © 2006-2009 Personal Prague Guide - ® Šárka Kačabová. All rights reserved.